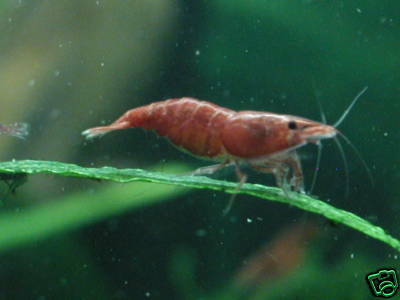 These are shrimp that were hatched and raised in my home aquarium. They are very healthy, vigorous and bright red. You will receive a random scoop of shrimp of mixed sexes and sizes from juveniles of 1/4 inch to young adults of 3/4 inch. I will include lots of extras in the unlikely event that any are DOA. Check out my feedback. When they arrive, their color will be pale from the stress of the trip. After settling in, they will color up nicely. The female’s red color will increase with age maturing to beautiful cherry red with a white “saddle” at the age of 6-7 months. The males, which are smaller than the females, remain transparent but have a red spotted pattern. Take a look at the pictures from my aquarium. 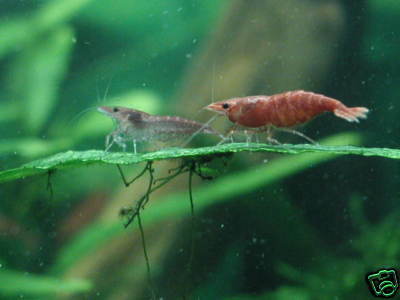 The one with two shrimp show the male and female. 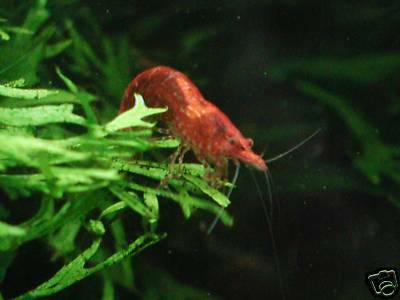 Your shrimp will be shipped in a Kordon Breather bag, Styrofoam lined box, 72 hour heat pack some Java Moss and Java Fern to hang on to for a safe trip. I ship only Mondays via USPS Priority Mail to minimize their transit time and reduce the risk of a weekend stay at the Post Office. If you have any questions, feel free to ask.